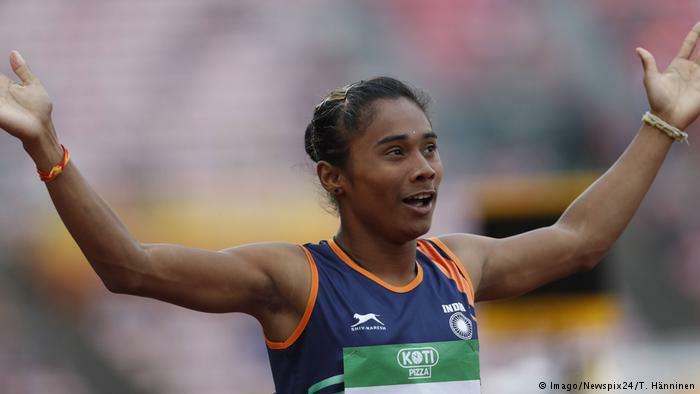 After a seemingly endless wait, India has finally tasted success in the field of athletics. Recently, Hima Das, an 18-year-old from the northeastern state of Assam, became the first Indian woman to win Gold at the World Junior Athletics. The Athletics Federation of India (AFI) congratulated her on her success on Twitter but did not refrain from taking a jibe at her poor English. This was fodder for netizens and the AFI was cricicized across all social media platforms for its “mansplaining”. In the aftermath, the AFI had to write a series of explanatory tweets, clarifying that its motive had not been to belittle Hima’s achievement but to point out that her poor English had not been a barrier to her success. The AFI statement stirred up a controversy which was satisfyingly quelled only by an apology. But this “faux pas” is not only characteristic of the AFI. It betrays the age-old patriarchal mindset that finds it difficult to digest that a girl can shine on her own. Do we always have to feel this compulsive urge to school even our heroines? Take the scarcity of resources and sponsors for female sports, add to it the psychological necessity to poke fun at the courageous “sheroes” who are hungry for success, and you have a perfect glass ceiling that’s not even invisible anymore. 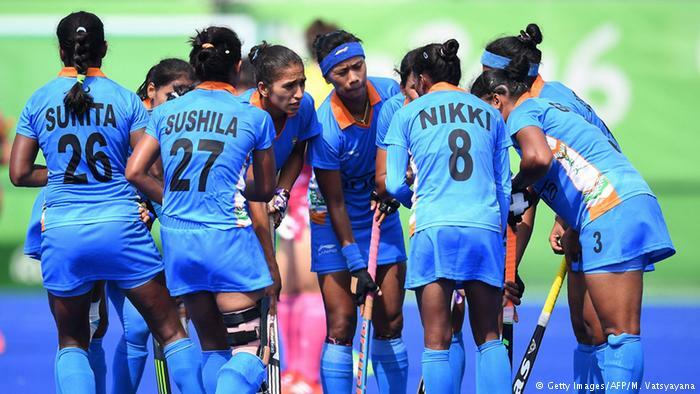 India teammembers meet on the field during the women’s field hockey Japan vs India match of the Rio 2016 Olympics Games at the Olympic Hockey Centre in Rio de Janeiro on August, 7 2016. Hopefully, the celebrations will go on for months to come. There are even chances that state and central governments will name sports policies and stadium stands after Hima. But I feel that this is too little too late. Why do fail to worship our women as stars? Why can only men be star players? Recently, I tried to get in touch with the PR cell of the Indian women’s cricket team for an assignment. I painstakingly exhausted my contacts list and made a discovery that now seems unsurprising – the Indian women’s cricket team does not have a proper PR cell. Really? My question is – why? Don’t we, at least on paper, have plans to propagate the sport among women? Indians have no qualms now in idolizing FIFA stars; lately, they have even been talking about male wrestling stars. But this is as far as we have gone grom our obsession with the Indian male cricket team. There are some exceptions now (think Saina Nehwal and PV Sindhu) but in general, it’s very hard for us to afford star status to our young female players. Why are the airports not crowded with fans with garlands when female teams come home after their victories? Advertising companies are not keen on signing them up for endorsements. The media certainly do not give them the same attention they would male players. 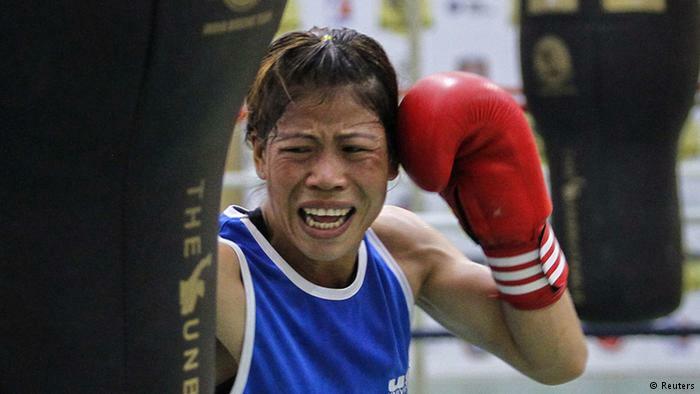 India’s boxer MC Mary Kom punches a bag during a training session at Balewadi Stadium in Pune, about 190 km (118 miles) from Mumbai, in this file picture taken March 12, 2012. It’s a sad fact that women tend not to receive as much respect as their male counterparts in any profession, but in sports it seems that the problem is exacerbated. The “mansplainers” claim that women are not into sports but perhaps this is because the environment is not conducive to women becoming stars. Only when our daughters save our pride in the international arena are we slightly willing to celebrate them as a society. This might be just enough for the fierce lionesses to clinch their prize. But let’s at least do away with the need to be teaching them, even at the podium. 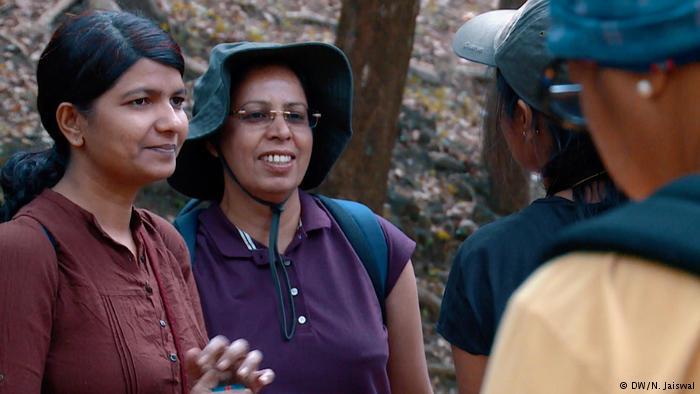 Let’s allow India’s daughters be the heroines of their own toil.